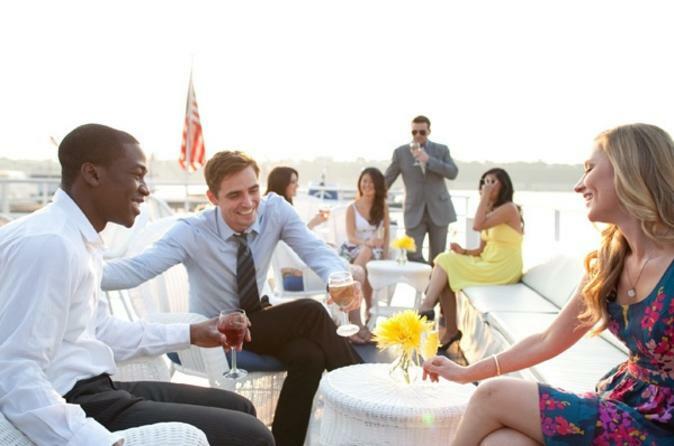 Sail away on a New York City brunch cruise on Hudson's, brought to you by World Yacht located on Pier 81. As you sail around the city on the Hudson River you'll be in awe of the magnificent skyline views. Delight in a buffet style brunch that includes unlimited mimosas, coffee and tea. Come aboard your Sunday Brunch Cruise on Hudson's, a recent addition brought to you by World Yacht, located on Pier 81 on the west side of Manhattan. A creation of architect Andrew Franz, Hudson’s offers three levels for you to enjoy. All featuring breathtaking views of the New York City Skyline. Enjoy your brunch in a relaxed setting, perfect for intimate conversations or a special celebration as you cruise along and sip unlimited mimosas. The menu focuses on fresh, locally sourced ingredients in dishes, which are prepared on board from both land and sea. Your cruises returns to Pier 81.